The Tax Rep LLC is an online member-driven organization whose mission is to enhance all of its members IRS representation practices by sharing experiences, representation techniques and marketing strategies with each other. 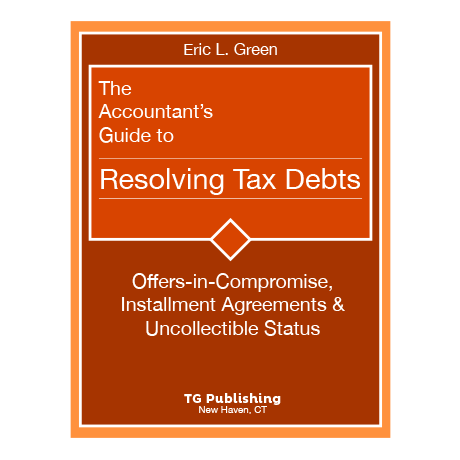 Attorney Eric L. Green is a nationally recognized Tax Attorney whose talks have educated thousands of tax practitioners. He is a frequent lecturer for CCH, the American Bar Association’s Tax Section, The National Association of Tax Professionals (“NATP”), CCH, A Wolters Kluwer Company, the National Association of Enrolled Agents (“NAEA”), CPAcademy, as well as many other state and local tax groups. 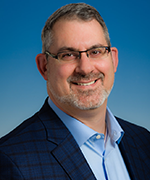 Eric is the creator and lecturer of CCH’s IRS Representation Certificate Program and is a Columnist for the Journal of Tax Practice & Procedure. 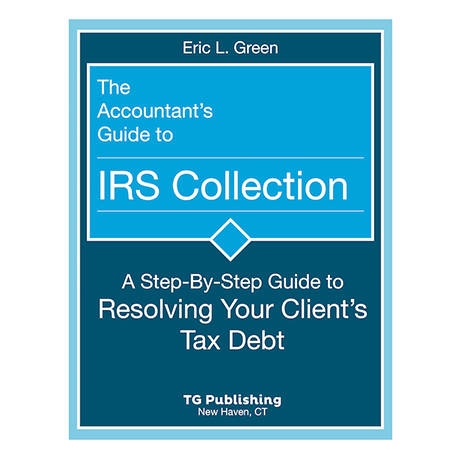 Attorney Green’s practice is focused on civil and criminal taxpayer representation before the IRS, Department of Justice Tax Division, Connecticut Department of Revenue Services, New York Department of Revenue and Massachusetts Department of Revenue. Eric is frequently quoted in the Wall Street Journal, USA Today, CreditCard.com and Consumer Reports Financial News. Eric has served as adjunct faculty at the University of Connecticut School of Law where he taught law students to handle taxpayer representation matters in the low income taxpayer clinic. Prior to becoming an attorney Eric served as a senior tax consultant for national and international accounting firms, including KPMG and Deloitte & Touche. Attorney Green’s commitment to professional excellence is demonstrated by his involvement in numerous professional organizations. Eric is a Fellow of the American College of Tax Counsel, an organization in which membership is an honor reserved for those at the top of their chosen profession. The College’s members, called “Fellows,” are recognized for their extraordinary accomplishments and professional achievements and for their dedication to improving the practice of tax law. Fellows must be nominated by their peers for this honor. Eric is also a past Chair of the American Bar Association’s Closely Held Businesses Committee, and has served as the chairman of the subcommittees on Business Succession Planning and Estate Planning. Eric was selected as a John S. Nolan Fellow of the American Bar Association’s Tax Section, which is to recognize outstanding young tax lawyers in 2010. Attorney Green is also a past Chair of the Connecticut Bar Association’s Tax Section. Eric is the author of the Accountant’s Guide to IRS Collection, the Accountant’s Guide to Resolving Tax Debts, a contributing author on Advocating for Low Income Taxpayers: A Clinical Studies Casebook and was interviewed for the book Stop Hiding from the IRS: The Insider’s Guide to Solving Your Tax Debts Once and For All. Jeff Sklarz is nationally recognized for his work and lectures in the area of bankruptcy and taxation. Jeff’s law practice is focused on representing businesses and individuals with complex financial issues, including civil and criminal tax problems. He regularly tries cases and appeals before Connecticut’s state and federal courts. 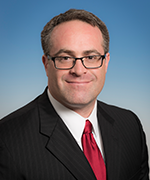 Jeff has particular experience regarding the interplay between and among bankruptcy law, tax law and ERISA. Jeff regularly serves as counsel to clients experiencing a wide of array of financial challenges, and is a frequent lecturer for the American Bar Association Tax Section, the American Bankruptcy Institute, and many other organizations on taxation and bankruptcy issues, including he discharging of taxes and reorganizations through bankruptcy. Jeff is a 2005 recipient of the Connecticut Law Tribune’s New Leaders of the Law Award (Overall Achievement, Fairfield County) and has been listed by New England Super Lawyer® as a Super Lawyer (Business Litigation) since 2010 (Rising Star 2010-2013), and was named a Fellow of the American Bar Association, Business Law Section (2011 – 2013). Jeff holds many positions with local and national bar organizations and is a frequent writer and lecturer on topics involving bankruptcy, tax litigation and commercial litigation. Current positions include: Chair of the Government Powers Sub-Committee of the American Bar Association, Business Law Section, Business Bankruptcy Committee and Education Director of the American Bankruptcy Institute, Bankruptcy Tax Committee. Amanda is an enrolled agent (E.A) whose practice focuses on IRS resolution. As an E.A., Amanda is a federally-authorized tax practitioner who has technical expertise in the field of taxation and who is empowered by the U.S. Department of the Treasury to represent taxpayers before all administrative levels—examination, collection, and appeals—of the Internal Revenue Service. Amanda assists in both the tax representation and bankruptcy practice groups at Green & Sklarz and has particular expertise in tax issues in bankruptcy. 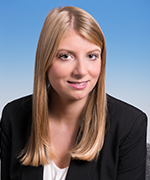 Amanda is a current board member of the Connecticut Society of Enrolled Agents and an associate member of the Connecticut Bar Association. She was a presenter at the 2016 New England IRS Representation Conference on issues surrounding representation of an innocent spouse and the 2017 New England IRS Representation Conference on IRS Offers-in-Compromise. Amanda has also given presentations on hobby loss exams, IRS collection, tax liens and tax levies.